To remain profitable or within budget in today’s business environment, organizations that operate laboratories must make important decisions about how they are investing time and resources on core capabilities like research, and how to avoid being sidetracked by noncore functions like lab management. Whether a university research facility, a research and development lab for a company or a local high school chem lab, managing the laboratory chemical waste removal process is becoming a challenge in an increasingly hostile regulatory environment. Research laboratories like all hazardous waste generators are subject to the Resource Conservation and Recovery Act of 1976 (RCRA). RCRA established the “cradle to grave” requirements for the treatment, transportation, storage and disposal of hazardous waste in the United States. As such, laboratories like all businesses are required to track chemicals from the second they enter their sites, and with best practices inventory management, to know where they are and when they expire. Hazardous materials are used and recycled until they are put into containers waiting for pickup by the chemical waste company. Improper storage of hazardous waste. 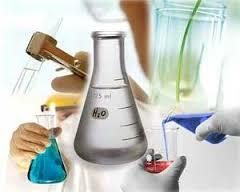 Improper management of expired chemicals. Failure to make a hazardous waste determination. Threats to people: Carelessness or inexperience can turn a hazardous waste storage and collection area into a danger zone. A deadly chemical reaction, a quick-spreading fire, or a treacherous spill can cause injuries to lab staff or first responders. Threats to the bottom line: As discussed previously hazardous waste disposal requires compliance with stringent federal and state regulations. Failure to properly follow and stay up-to-date with the law could result in heavy fines in the thousands to tens of thousands of dollars. Threats to research and innovation: Organizations may currently require their scientists to manage part of the hazmat disposal process, including handling waste and consolidation processes. This can be a time waster for research staff and a major distraction from valuable research time. It’s many not be a good use of a valuable resource, and can ultimately result in a loss of crucial research. Many labs are looking to better manage the laboratory chemical waste removal process by outsourcing hazardous waste management to hazardous waste disposal companies. 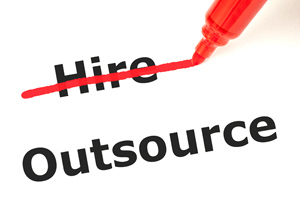 Among the many benefits of outsourcing are a reduction in staffing costs, shared liability with your removal company and in many cases the development of up-to-date procedures.